On August 7th, J Oksana Boyko interviewed former Australian prime minister, Malcolm Fraser, known for his opposition to apartheid in South Africa, his humanitarian commitment to the resettlement of refugees and legislation to give indigenous Australians control of their traditional lands. More recently he has criticised the growing infringements of human rights, the basing of U.S. military forces in Australia, the concept of American exceptionalism and US foreign policy in general. The nub of the problem according to Fraser – and others: the Ukraine was a traditional area of Russian interest preceding communism and Stalin; however, the United States decided it was going to become an area of western influence, of NATO influence. Fraser recalls: “President Gorbachev believed that the first Bush administration had agreed that NATO would not move east. NATO had, after all, done its job”. From the website of Pietro Shakarian, an MA graduate student at the University of Michigan: “George H.W. 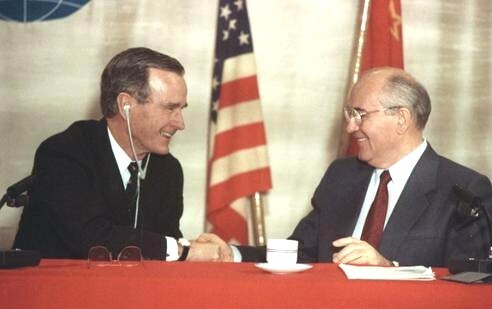 Bush and Mikhail Gorbachev in Malta in December 1989 (ITAR-TASS). The Bush administration informally promised Gorbachev that NATO would not expand “one inch” beyond East Germany. The promise was never fulfilled. To defuse the Ukraine crisis, a formal, written promise not to expand NATO by Washington to Moscow would do much to build mutual trust and confidence between both countries”. “The 200 front organisations receiving this colossal sum have such names as “Center for European Co-operation” or the “Donetsk Regional Public Organisation with Hope for the Future”. 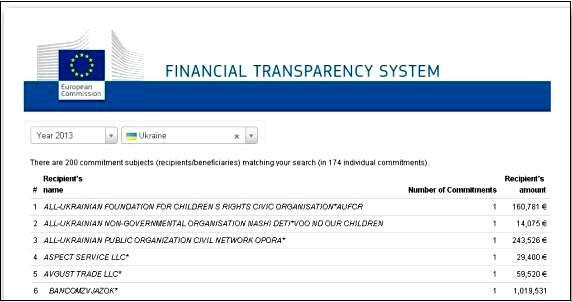 The first page found shows how many are in eastern Ukraine or Crimea, with their largely Russian populations – the snapshot below shows 6 of the 30 donations on that page alone. Booker believes that the West has brought about this crisis, rousing fears that its only warm-water ports in Crimea might soon be taken over by Nato – “a crisis . . . more reminiscent of that fateful mood in the summer of 1914 than we should find it comfortable to contemplate”. Fraser is constructive: “Great powers very often, too often, interpret international law as what is in their particular interest at the time. Now, we need to try to make rules that everyone will support. “If the United Nations is ever to work, great powers and lesser powers are all going to have to abide by the rules of the organisation. But it’s the great powers that tend to push the rules aside when it suits their national interests. And therefore, when the United States says that what Russia has done is in defiance of international law, well, that can’t be taken as gospel. The government and the change of power in Ukraine itself was surely in defiance of democratic principles. “The Ukraine should be told that it can never join NATO, that other means will be found to make sure that the Ukraine remains secure. The West should be persuading those who are now in government in the Ukraine that within Ukraine they must learn the art of compromise. And those who are more inclined to Russia in the Ukraine, should also be persuaded by Russia – you must also learn the art of compromise”. Will the voices of reason prevail? Posted on August 10, 2014, in Democracy undermined, Media, Planning, Public relations, Secret State, Vested interests and tagged Christopher Booker, Crimean warm-water ports, EC Financial Transparency website, Former Australian PM Malcolm Fraser, George H.W. Bush, Mikhail Gorbachev, NATO, Richard North, Russia, Soviet Union, Ukraine, United States. Bookmark the permalink. Leave a comment.